Clearing out the Clutter serves a number of purposes. First of all, it makes your home look more spacious. If you have your stuff everywhere it will give the appearance of a lack of storage space. Removing unnecessary items can also help the potential buyers imagine their belongings in the house. Getting rid of clutter also shows buyers that you take care of your house and keep it clean. Make any small repairs. 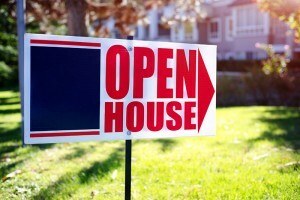 You have a lot of competition and buyers are looking closely at every aspect of your home. Leaky faucets, torn screens and burned out light bulbs are things you can easily fix. Give your home a deep cleaning. Get at those spots you might not do on an everyday cleaning. Dust fans, baseboards and shelving. Make your fridge and overlook like new. Buyers will notice a super clean home and it will pay off. You might even want to hire a cleaning company. Pets need to be out of the house. Everyone loves their pets and considers them family members but pets can be messy and sometime have odors and you don’t know how a potential buyer might feel about your pet. They might be allergic or just not a pet person. It’s best to keep the pets away during an open house. You should leave the house too. Your Realtor® and potential buyer will be more comfortable if you’re not home. They will be able to speak more openly, ask more questions and will wind up spending more time in the house if you’re not there, so plan a day away from home. Make sure the house smells clean. It might be a good idea to have carpets cleaned or give the house a good airing out before the guests arrive. If you have litter boxes and pet areas, make sure they are cleaned of removed. Sometimes we become desensitized to smells in our environment so it wouldn’t hurt to ask a friend or your agent to give it a sniff. Dabbing a bit of vanilla extract on light bulbs gives off the smell of fresh baking and the feel of home. Turn up the lights. Make sure you let the sun in if it’s in the daytime. Open blinds and curtains and replace low watt bulbs for higher intensity bulbs. People prefer a well lite home over a dark and dreary one. Remove personal items. People want to imagine it as their home so removing personal items like photos and trophies. Put out your best table setting. Everyone loves a meal with family and their best china, silverware and colorful tablecloths and napkins. Make your table look inviting so buyers could imagine their own families gathered in your dining room. Bring in some fresh flowers. Flowers smell good, they make people feel good and can attract the eye and make your buyer linger a bit longer. Refresh your bathrooms with bright new towels and rugs and investing in a beautiful plush comforter for your bed will be visually pleasing to buys and something you will enjoy long after. Curb appeal! It’s the first thing people see when they pull up in front of your house. Mow and edge the lawn put away any bike or kid’s toys, trim shrubs, even give a fresh coat of paint to shutters. If you have outdoor furniture, make it look inviting. Set out some colorful plastic dinnerware on the table, or a pitcher and some glasses. Make that first impression count. Selling your property in today’s market can be a challenge. When you are contemplating putting your home up for sale, make sure it is ready and make sure you find a brokerage firm who will get you the most visibility. Ken Carlson Realty is your source for buying and selling real estate in Northern Michigan.